Ninja Growth Strategies Presents: "How to Make 6-Figures On LinkedIn This Year as a Business Coach"
Myranda is a #1 International Bestselling Author and the CEO & Founder of Ninja Growth Strategies. 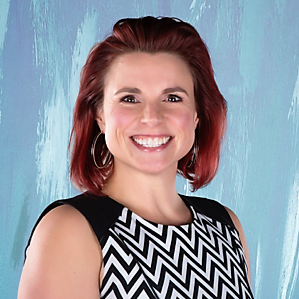 She specializes in helping expert coaches build 6 and 7figure businesses and make a big impact by doing what they love. The 5 shortcuts our clients are using to go from $0 to $25k/month RIGHT NOW and scale to $100k/month in their very first years… even if they’re brand new and don’t have coaching certifications. A 4 -step game plan you can use to attract and enroll high-ticket clients from targeted connections outside of your network in just 48-72 hours… WITHOUT a bestselling book, speaking, or cold-calling. How you can LEAP over your competition and build a 6 or 7-figure business you LOVE this year… working just 10-20 hours a week while getting even better results for your clients. Why spending months and thousands of dollars trying to get certified FIRST is the exact wrong strategy…and a simple way you can start earning your FORTUNE today. How our clients are establishing their authority and commanding $3,000 - $25,000 per client, WITHOUT doing one-on-one first, or taking on clients who never pay what they’re worth. Six fatal flaws business coaches make when trying to get clients… and 5 cutting-edge strategies 6 and 7-figure experts are using to give up the feast or famine cycle FOREVER. AND… how you can do all this with 100% integrity while making that big IMPACT you’ve been dreaming of….